No details about it are available except that it is located close to a camping site 'Sablieres de la Boucle de Jablines' - a natural preserve for the flora and fauna of the region. Located about 10 km from Disneyland, it was created on former quarries and most of its surface consists of lakes and ponds of varying sizes, lawns, waste land and some hedges. 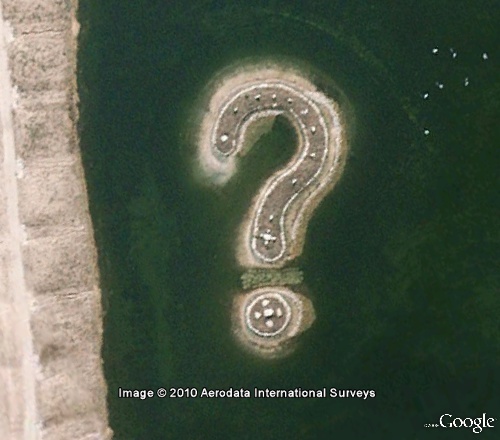 Google Earth's historical imagery shows that the 'Big Question' mark was built sometimes between Jan. 24, 2005 and Oct. 21, 2007.